I had a wallpaper on my iPhone (running iOS 12), which I had to change (because details were incorrect). So far so good, but I made the mistake of changing both. How can I get a plain background on the Home Screen without any distracting graphics? 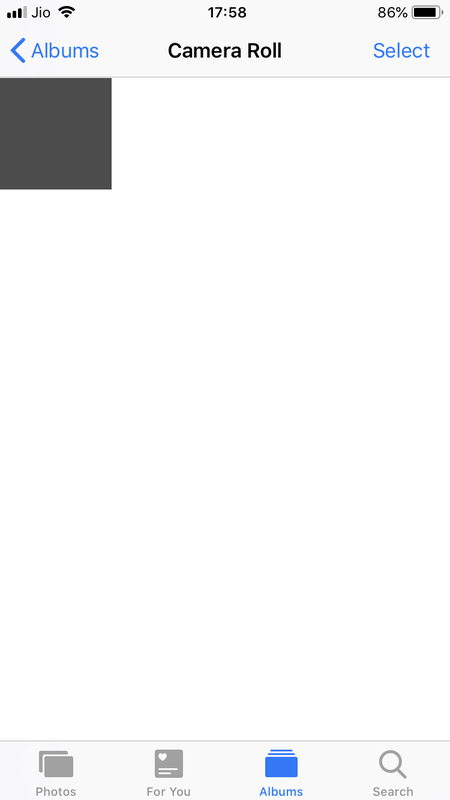 I seem to be able to select a Black background, but nothing else from the default wallpaper set. I am sure there were more options on older iOS versions. In case you want to set your own wallpaper, simply save the image to your gallery, tap the share icon on the bottom left, and select the Use as Wallpaper option. 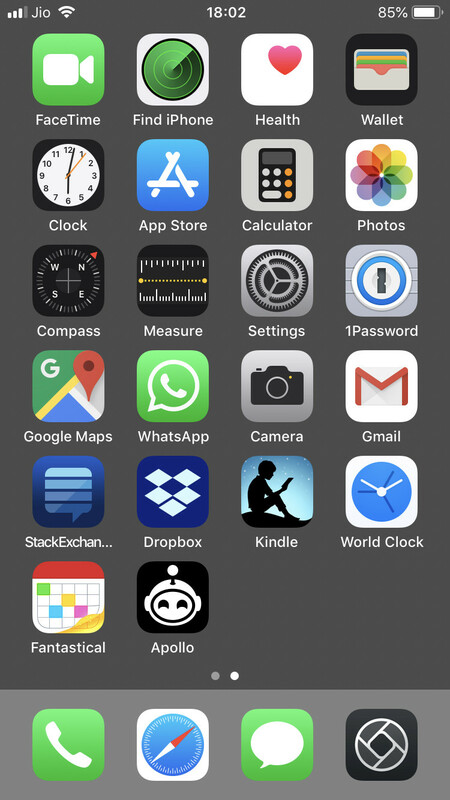 By default, iOS 12 contain only one solid colored image for wallpaper which is Black. 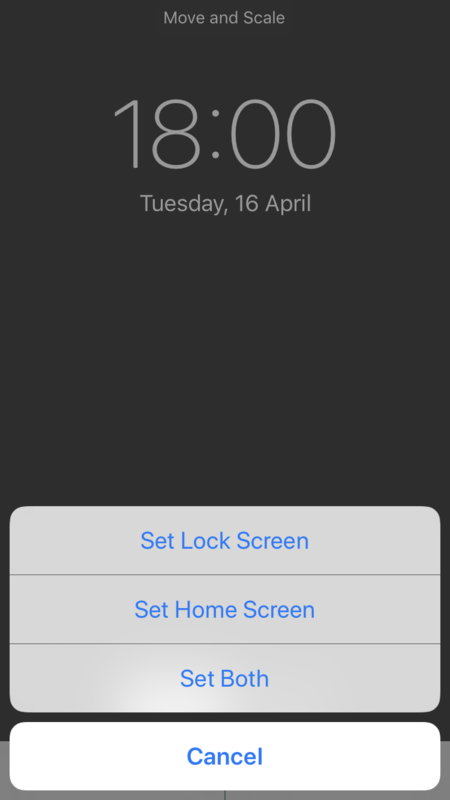 It is not possible via built-in iOS Wallpaper setting to generate random solid color for use as Home Screen and/or Lock Screen background. To get a plain background on your Home screen, you simply need to obtain/generate a solid colored image with the desired background colour. Obtain/generate an image with the desired background colour. It's not mandatory, but generally a good idea to match the image resolution with the device screen resolution or get a higher resolution one. One is attached for example below. It's an image with the color code #767676 with 3360 × 2100 resolution. Now save it in the Photos app on your iPhone. 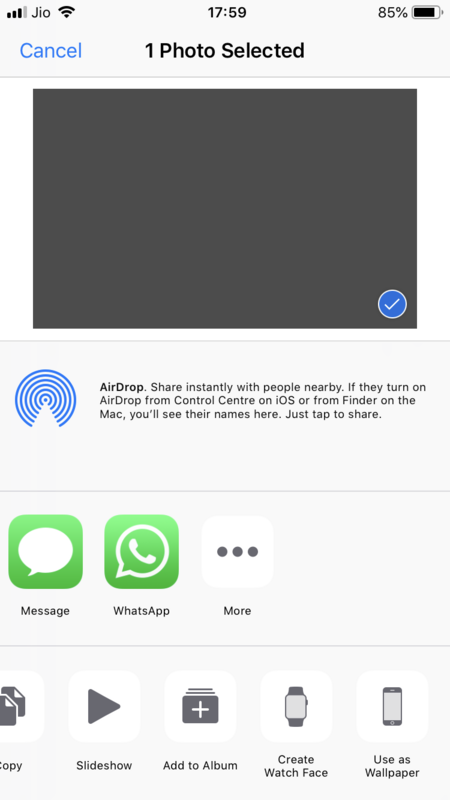 There are multiple ways to do so, you can AirDrop it from your another device, transfer via a messenger app, email it to yourself, or simply host it somewhere, open it in Safari and save it in Photos. You should have the image appear in your Camera Roll. Select the image or tap to view it. Tap on the Share button at the bottom left of the screen to open the Share sheet and tap Use as Wallpaper option in the bottom row. You'll be shown a preview of the screen with the image set as wallpaper. Select Still (as there's no point in selecting Perspective as its a solid image) and tap on Set button. Now you'll be prompted to set the image as wallpaper for either Lock Screen, Home Screen or both. Since you require plain background only on the Home Screen, tap on Set Home Screen. Voila, your new Home Screen background is set with the solid color of your choosing. I personally like this color as it lets me clearly see all the app icons along with their names. Not the answer you're looking for? Browse other questions tagged ios wallpaper . What is the source of the Earth and Moon wallpaper? 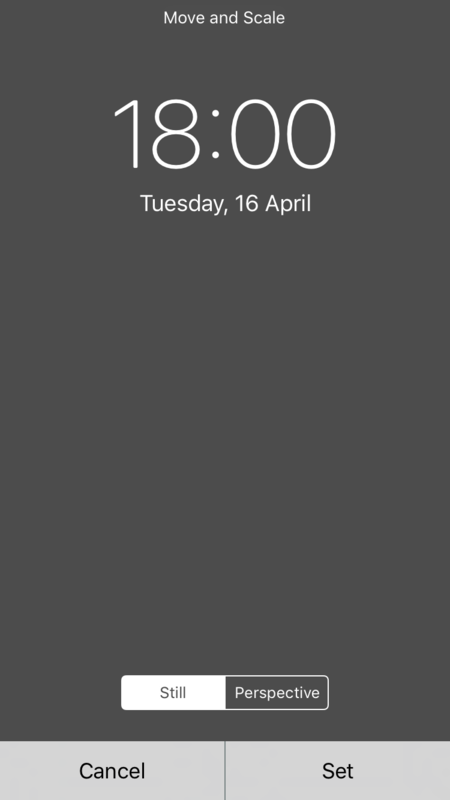 How can I get a copy of a user-added image iOS is using for the wallpaper? Is there an iOS wallpaper similar to Nexus Revamped? How can I change sleep mode's wallpaper?